Hamilton May presents a picturesque residence located just a 25-minute drive from the city center. The property is available for rent. As you would expect in Poland's capital city, Warsaw is surrounded by exclusive residential neighbourhoods with excellent access to the city centre. Characteristically luxury houses and mansions in Warsaw are of varying styles as many of the homes are built not by developers, but more often by Polish owners on their own plots and for private use. Typical styles include modernist villa type properties, typical new build mansions, and a selection of renovated traditional houses. As a result, the rental market is relatively inconsistent with expectations of landlords and tenants varying greatly. 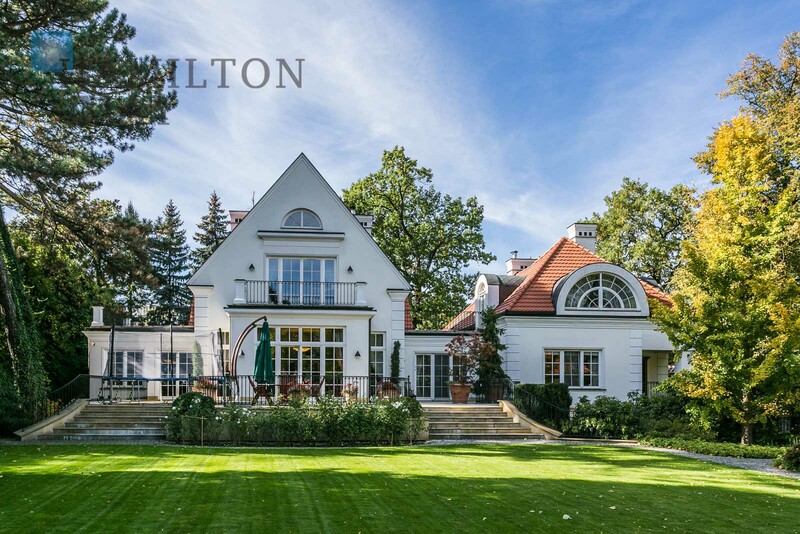 Hamilton May offers professional real estate services with a team of qualified agents working specifically in rental and letting of luxury houses and mansions in Warsaw. We invite you to contact us to find out more about our services if you are either looking to rent an exclusive house in Warsaw or alternatively if you require a professional agency to represent you in letting your house.